Does the 7 Day Carb Cycle Solution Really Work? There is no shortage of diets that one can become involved in when they are looking to lose weight and get fit. In fact, there are so many that it can be a real challenge as to know which one to choose. There are many people that end up trying more than one. One that many have considered is the The 7 Day Carb Cycle Solution. The 7 Day Carb Cycle Solution is based on the foundation of the Carb Cycle diet. This is a diet that is comprised of a diet of high carbs on specific days and then low carbs on the alternate days. 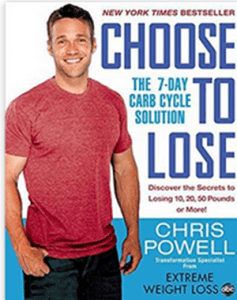 The 7Day Carb Cycle Solution is a plan based on this written by Chris Powell. For those who are not familiar with Chris he is the celebrity fitness trainer from Extreme Weight Loss. The 7 Day Carb Cycle Solution claims are that this program based on this diet consists of workouts that are to be included that are quick and easy. There is guidance in the plan for the diet to be followed along with some recipes to get one familiar with this. The 7 Day Carb Cycle Solution hype is that this is a diet that can be followed in a safe manner and still lose the desired weight. The cost of the The 7-Day Carb Cycle Solution is $7.02 on Kindle, and $13.43 for the paperback. As with any diet there is a strong commitment that has to be made and The 7 Day Carb Cycle Solution is no different. It means reading this book perhaps several times over and then following the suggestions. This is not something that can be done over night so based on this there is a need for an ongoing commitment. Two things have to be evaluated when it comes to The 7 Day Carb Cycle Solution. First how much credence can be put on the Carb Cycle Diet itself. Then how much credibility can be given to the author and his specific plan? There are a lot of people that have had good success with the Carb Cycle Diet. Many like the fact that there is no calorie counting or the weighing of foods which are often factors that cause people to give up on a weight loss program. Then there are others that feel that they need the extra help like that which the author is offering in The 7 Day Carb Cycle Solution. This then comes down to the success that the author has had with this plan. Which leads to what kind of feedback The 7 Day Carb Cycle Solution has received. To answer this question it means looking at the 770 customer reviews that have given this plan a 4.4 star rating. Which when it comes to weight loss is pretty impressive. We are going to give The 7 Day Carb Cycle Solution a thumbs up. The diet is a favourite of many. The author of this plan is credible, and the book itself is reasonably priced. Not to mention the positive feed back. If a carb diet is not for you then there are plenty of other diet options to consider. What do you think? Does The 7 Day Carb Cycle Solution work or not? Does HGH Energizer Really Work? Does the Simply Fit Board Really Work?